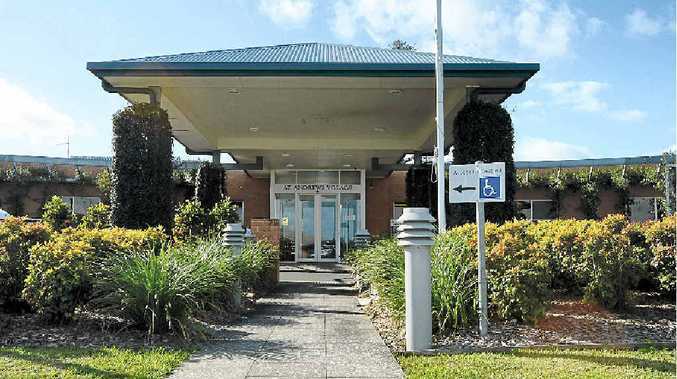 A FORMER nurse who had been working at Ballina's St Andrews nursing home for two months allegedly used a fatal dose of insulin to kill two elderly female residents. Megan Jean Haines, 46, will face Central Local Court in Sydney court today charged with two counts of murder and one count of assault in relation to the deaths of two women in May. Haines, 46, cried when she appeared in Melbourne Magistrates Court yesterday before Magistrate Duncan Reynolds. NSW Homicide Squad Detective Sergeant Darryn Gunn successfully applied for Haines' extradition to New South Wales, and last night she was formally charged with two counts of murder and one count of assault. Haines landed in Sydney around 6.30pm last night. She was taken straight to the Sydney Police Centre in Surry Hills and charged over the murders of Marie Darragh, 82, and Isobella Spencer, 77. She was also charged with common assault of an 88-year-old female resident of the nursing home. Ms Darragh and Ms Spencer were found unconscious in their beds on the morning of May 10, the same day the 88-year-old woman was allegedly assaulted by Haines. Haines was arrested on Monday at a property at Seaspray, Victoria, after warrants for her arrest were issued by the NSW Homicide Squad last week. Her lawyer, Joanne Finlay did not apply for bail on behalf of her client and told the court she was vulnerable as it was her first time in custody. Homicide Squad commander Detective Superintendent Mick Willing said it will be alleged that fatal doses of insulin killed the women. "Detectives will be alleging she administered insulin to the 82-year-old and the 77-year-old which caused their deaths," he said. "We will be alleging the 88-year-old woman woke during the night to discover the 46-year-old administering her unscheduled medication." Police will allege the motivation for the murders and the assault was that all three women had complained to the nursing home about Haines during the course of her employment. St Andrews Aged Care chief executive Pip Carter said news of a former employee's arrest in relation to the deaths of two residents, and an assault on another female resident, was devastating. "Our sympathies are with the women's families. Both women were very much part of our community, our family at St Andrews, and we share in their families' grief. "I want to reassure residents and the community that the safety and care of St Andrews' residents always has been and always will be a priority," Mr Carter said. He said he would do all he could to help staff, residents and relatives through their grief and distress.